Tires are just like your cat’s feet. They have the important responsibility of supporting the entire vehicle’s structure and of helping the car grip the road. If you have low-quality tires your vehicle may lose handling and you will experience a lot of road noise. To top that off, you will have to buy new tires every few thousand miles as the old ones will wear out quicker. There are hundreds of tire-making brands out there but not every brand makes good tires. Some tires are cheap but their cheapness means they are not very reliable. You want your investment to bear fruit so that you can enjoy it for a long time but with cheap tires, you will find yourself investing frequently. That is why it is important not to get fooled by flashy tire deals and attractive prices. Invest in well-known manufacturers only. If you are still adamant on buying OEM tires, go through our list of tires you should avoid purchasing. Most of the cheap tires you will find on markets will be Chinese made and these are the worst overall. Take one look at them you won’t be able to differentiate them from more expensive branded tires made by Michelin or Dunlop. But that’s the thing. These tires only look good. They are not good in terms of quality and durability. However, there are for sure some reliable Chinese tire manufacturers out there. But the majority is not performing well. If you are investing in a set of Chinese tires be prepared to reinvest in a few months because they will give up on you very quickly. Their tread pattern will disappear and you will feel a loss in traction, which is not good for your road safety. Although General tires are pretty famous across the world, many people do not prefer them. The low-end tires made by General are not up to the brand’s quality standards. These tires wear out quicker than most although not as fast as those even cheaper Chinese tires. Another thing you might experience with General tires is a lot of road noise. It might be the tread pattern or the quality of the rubber that these tires are not smooth at all. You might even experience a loud humming sound when you drive on highway speeds. The Firestone brand is a big red flag when it comes to buying tires. First off, their customer service is pathetic and then their tires are nowhere near top quality standards. Firestone tires are known to get damaged by potholes and slight road bumps. That shows the low quality of their tires. Their tires won’t even last you 20k miles and that is considered a waste of money. A good tire would last you 65k miles if you are rotating tires after every 5k miles. Firestone tires were prone to explode, so you should generally avoid them. Japan made Falken tires are an absolute nightmare if you install them on your car. They do not last long, and they are not great in rain. All-terrain tires are usually the choice for the general public but they wear out quicker than any other tire. Falken tires, on the other hand, wear out quicker than an all-terrain tire. Carlisle tires have the same problem as Firestone tires. 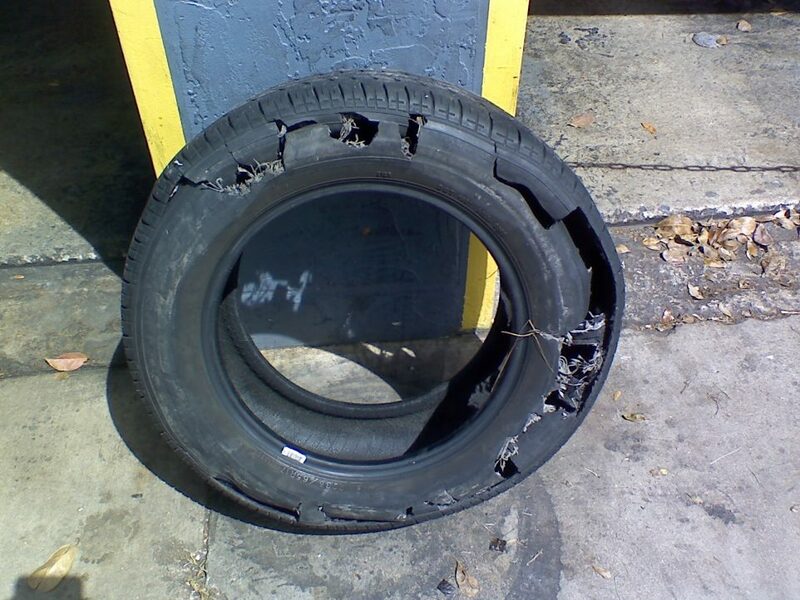 According to some reports by users, the Carlisle tire blew up without it being overinflated or put under pressure. That is safety concern keeping in mind that the tire can be on your car at that time. Carlisle usually makes tires for small vehicles such as motorcycles, lawn mowers, and ATVs. However, even for a small vehicle, it is better if you stay out of danger and opt for better quality tires. Tires that are well-known in the automobile world. There are certain things you should keep in mind before you buy a tire for your car. An investment in tires is as important as investing in your dream car. If you mess up with tire purchase, then your vehicle will not perform up to standard. Here are a few tips to help you choose the best tire for your vehicle. Before you find a tire for your car, you need to confirm the size of your wheel. Depending on the size of your wheels you can make a perfect choice. Thankfully, every tire has its rating, its size and every important information written on it. Buy a tire that matches the rating on your old tire. You might think that tires once made would last a lifetime. However, that is not the case. 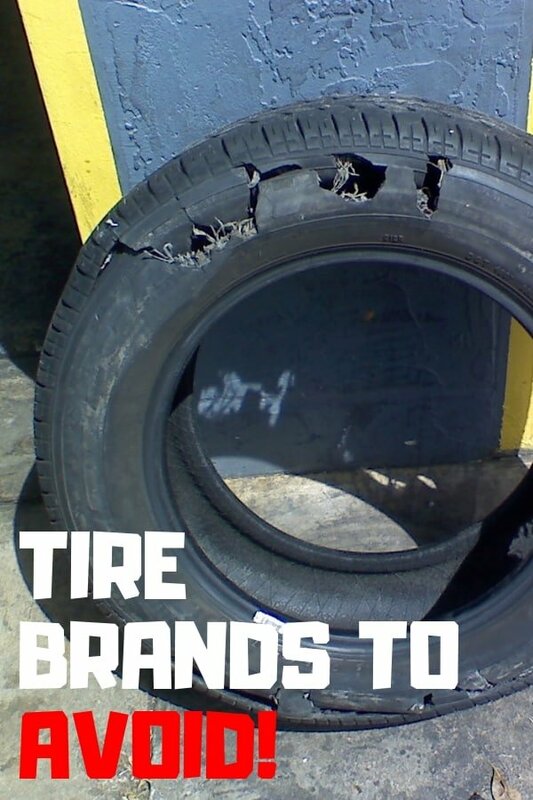 Tires that are not put on cars also deteriorate over time especially due to exposure to heat. This is why you should check the manufacturing date of every tire before you finalize buying it. The manufacturing date is in 4-digits and it is followed by alphabets. It is advisable to change your tires after every 6 years even if they are relatively new. After 6 years the tires lose their integrity and they do not last as long as they should. Tires are covered with a warranty. Yes, that is surprising yet true. 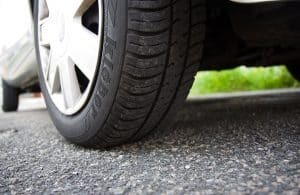 Usually, manufacturers will give you a 50,000-mile warranty for the car that includes the car but it is possible that the tire you get with your car does not last long. It might be that your vehicle is heavy or that you forget to rotate your tires. In any case, you have to make sure that the terms of the warranty are not based on mileage. If they are, you should check the terms and conditions in detail to understand the warranty. When you go to claim new tires, the manufacturer might not give you a new set of tires for free. They will charge you a marginal amount for the exchange and even then, they will ask you in detail about the care you took. Whether you rotate your tires on time and if you inflated the tires to the recommended pressure. If anything is amiss, you might not even get the partial coverage for tires. Car Tire Pressure: What's the right pressure? Why Do Tuned Cars Have Very Inclined Wheels? How Dangerous is it to Drive around with Old Tires? I have a 2016 chrysler TnC and would like to replace the TPMS with ones that I can monitor on my iPhone what would be your suggestion? Check out the “FOBO Tire”. Haven’t tried a lot of these Bluetooth sensors, but I heard that these are working well! Car Tire Pressure: What’s the right pressure? What is Cross Threading a Wheel Nut/Stud?